Britain gave the United States a naval and an air base on Bermuda during the Second World War, as it did with some of its other Caribbean possessions. But unlike most other negotiations for bases, these were not part of the bases for destroyers deal. As the then British Ambassador to Washington, the Marquess of Lothian, said, the bases were granted 'freely and without consideration'. This British colony also played a major role in British defence preparations during the latter part of the Nineteenth Century. 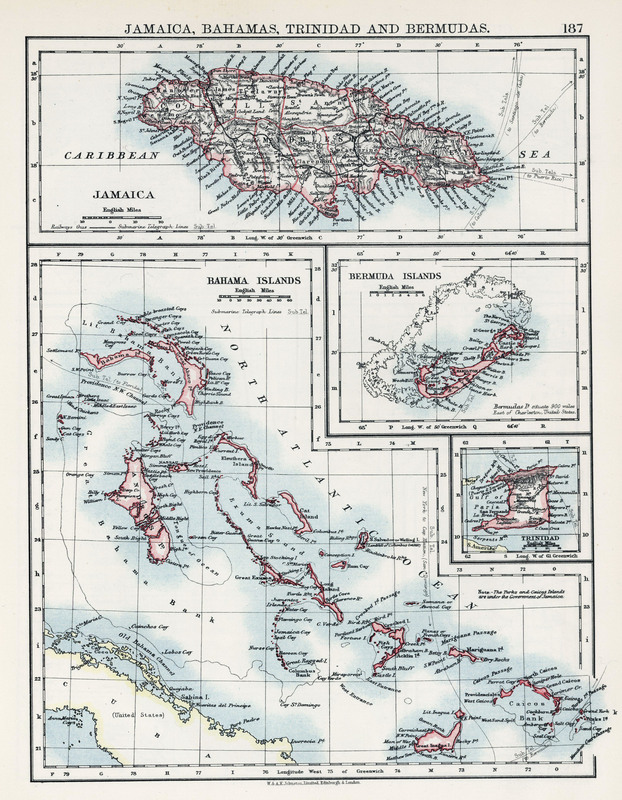 In 1865, the War Office looked to Bermuda (along with Halifax (Nova Scotia), Jamaica and Antigua) as a possible strategic base for launching attacks against the United States. Two decades later, Bermuda was the focal point of Britain's defence plans in the North Atlantic and Caribbean; the headquarters of the North American and West Indian Squadron was established there. This squadron's primary task was to secure hegemony over the waters in the event of an attack by a foreign power (the United States posing the only serious threat). The headquarters remained in Bermuda until 1905, when the squadron was abolished during the reorganisation of the navy. These facts lend support to the commonly held belief that Bermuda was of great strategic value to the British (and now to the Americans) in the nineteenth and twentieth centuries. But Bermuda's defensive capabilities had been recognised long before England began preparing itself against possible American hostilities in the mid-Nineteenth Century. In fact, it was recognition of Bermuda's importance, from a strategic point of view, that provided the basis for English interest in the early Seventeenth Century. And this is why Bermuda was colonised. For a few short years (1612-24), Bermuda guaranteed the English a presence in the 'New World' by providing them with their only secure footing in North America: Virginia was an unstable colony and Spain, even though a declining power, still laid claim to parts of North America and much of the Caribbean. It was desirable it should be inhabited, so that there could be found a road- stead and also assistance for so long a voyage... and not withstanding the great advantages given, no settlement had been made in the said island. Nothing ever came of this, however. New World trade was also strictly controlled by Spain. Under the conditions of the Casa de Contratacion (established in 1504), all trade with the New World had to be processed through Spanish ports. While England followed Spanish policy (they were then allies) it never accepted Spain's exclusive rights over North America and the Caribbean. When England, in 1607, settled on what was later to become Virginia, Spain faced a bold challenge for this was an affront to Spanish hegemony in the region. Philip III considered forcing the English settlers out of North America, as they had done with the French Huguenot settlers in Florida years ago, but knew this would mean an unwanted war with England. Instead, he instructed his ambassador to England, Don Pedro de Zuniga, to keep a close watch on English plans for Virginia. If it became clear England wanted to establish a colony there Spain would then decide what steps should be taken to prevent such action. It would be a service rendered to God, that Y.M. should cut short a swindle and a robbery like this, and one which is so very important to Y.M. 's royal service. If they go on far with this they must needs get proud of it and disregard what they owe here... I confess to Y.M. that I write this with indignation, because I see the people are mad about this affair and shameless. Clearly, Spain was hostile to the Virginia settlement; England was well aware of this as were the settlers, who lived in daily fear of attack. Tied to this external threat facing Virginia were a series of internal problems. Together they placed England's New World colonial experiment at considerable risk. The settlers had to do battle against the Indians who lived around Jamestown; there were persistent crop failures; many workers were unwilling to work; and morale was very low. As Charles Andrews says, 'at best the experiment was not succeeding'. A loss of this foothold in North America would have seriously set back England's North American colonial policy. Because Virginia was on such shaky ground, such an uncertain colony, England needed a haven, a strategic location where it could firmly establish itself and easily counter any attack. There was but one place which offered these qualities and also allowed for the easy defence of Virginia: the islands of Bermuda. Known also as the Summers or Somers Islands, Bermuda was very attractive from a strategic point of view. 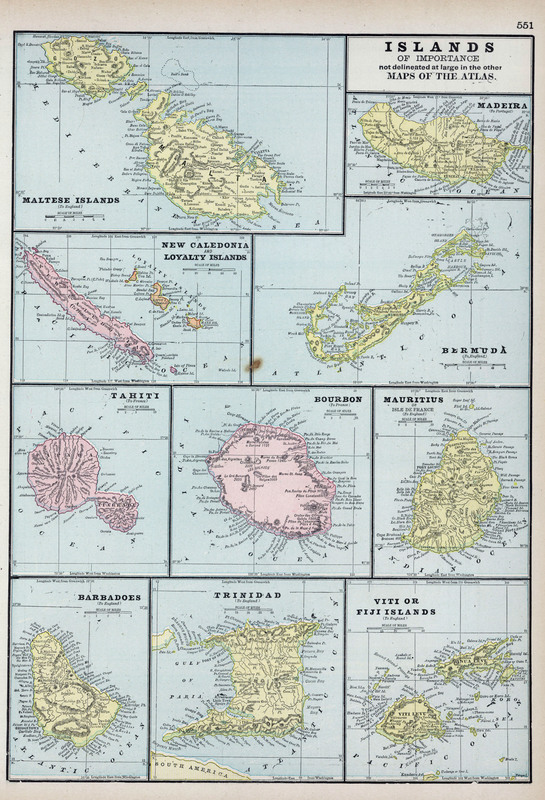 The group of islands that comprise this colony adds up to a small area of land (a mere twenty-two square miles) and is surrounded by a dense coral reef through which large vessels can pass at only two easily defensible locations. 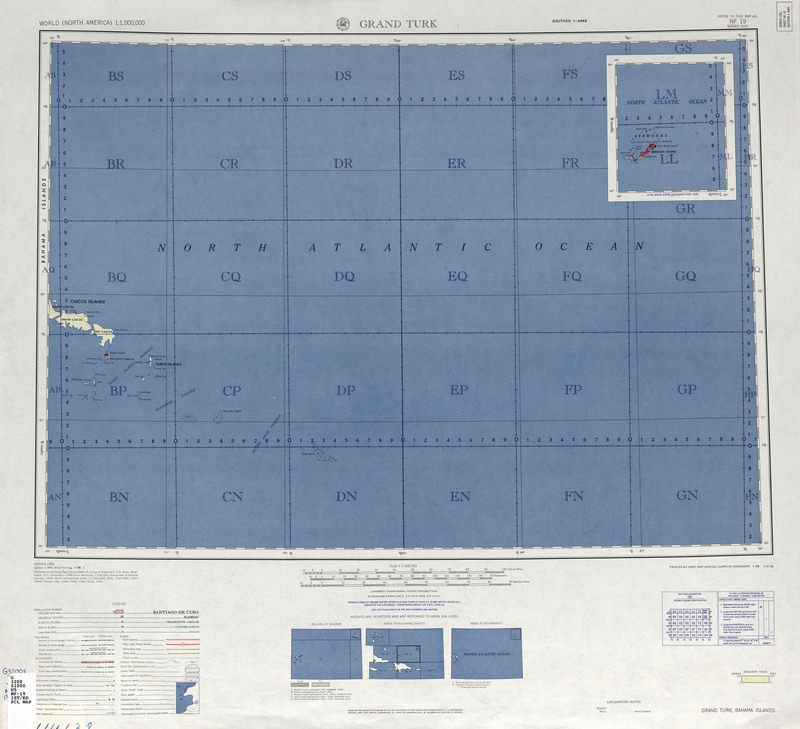 Moreover, its isolation made it a simple matter to keep track of any approaching vessels. The island also proved appealing since it was uninhabited and had a ready supply of food: an abundance of wild hogs (left by previously stranded Spanish and Portuguese sailors) and hundreds of thousands of cahow (a bird endemic to Bermuda) which could be captured by hand. Bermuda was settled by Sir George Somers (who was shipwrecked en route to Virginia) in 1609 and incorporated into the charter of the Virginia Company three years later. Under Governor Richard Moore's tenure (1612-15), defence preparations were the priority of the day as the English sought to secure themselves in North America. Eight forts were immediately brought under construction. Wesley Frank Craven has observed that '[w]ith a footing so secure as... [Bermuda] might be made, England was not easily to be excluded from the advantages of the new world'. The full discoverie... of those Barmuda lands, which hitherto have been held in the world as inaccessible... and given up to the divels power... are found a habitation of such safetie and securitie (having no enemie within nor any to be feared without, because the entrance is so difficult) and of such plentie of all things for life... as for the present they bee even as a new life and a seminarie to Virginia. The planting of them 'our countrimen' (besides the benefit of the Adventures) must needs adde much to the strength, prosperitie, and glorie of this kingdome, would proove a singular benefit to the native inhabitants of Virginia, and also to such our countrimen as should go over, and in all tend to the glorie of God. If the English understood the significance of this mid-Atlantic island to their colonising activities so too did Spain's ambassador to England. In his correspondence to his king he pointed out that although Bermuda was two hundred leagues (about six hundred miles) from Virginia it 'still has been able to succour them very effectively'. By providing salted meat and a shelter for small vessels, this island was able to breath life into beleaguered Virginia. Spain was determined to put a halt to this. Because Bermuda was so important to the English considerable effort was expended to make it a viable colony. 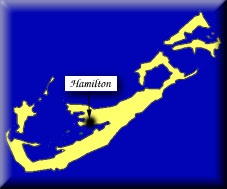 Indeed, it has been argued that Bermuda represented the most important English attempt at colonisation in the second half of King James' reign. In terms of population, more people were sent to Bermuda than to Virginia during the second decade of the Seventeenth Century. Although figures are not available for every year, we know that more settlers arrived in Bermuda in 1614 than constituted the entire population of Virginia in 1617; and by 1622, there were 1,500 people living in Bermuda, compared to Virginia's 1,275 in 1624. Most of Bermuda's early settlers came as indentured servants (slavery did not become prominent for another twenty years). In common with many other colonial societies, these workers faced harsh and oppressive conditions. But what is interesting here is that Bermuda's labourers were able to win concessions from the colony's administrators by threatening to revolt; internal dissent would have jeopardised Bermuda's position as a bastion for Virginia, and England's larger colonial ambitions. The administrators were undoubtedly aware of this in making their decision. Speaking on behalf of the colonists, the island's 'militant minister', Lewis Hughes, said he had 'heard men of good understanding and sober carriage say that they had rather beg their bread in England than live there'. The colonists' complaints were numerous. First of all, they were upset that food was only sent to the island once a year; and that what was sent was insufficient, leading to high prices and, often, starvation. Secondly, they felt 'defrauded at the food of their souls' since they never had more than two ministers for '1,500 souls dispersed into a length of twenty miles'. When a minister did show up he was always 'shortened in [his] promised entertainment'. Thirdly, the colonists objected to Governor Daniel Tucker's harsh criminal code (taken from the Virginian code then in effect) for which no less than twenty crimes were punishable by death and, we are told, was 'contrary to His Majesty's laws'. By far the major concern revolved around the tobacco tax. As the only real source of income, tobacco was the most important crop in the colony. Because of a number of factors (there was not enough dear land, the top soil was shallow, and so on), tobacco was not planted extensively; and since it was not of a very high quality, Bermudian tobacco sold at a comparatively low price. Nevertheless, what was produced was taxed at such a high rate that local production and the planters' livelihoods were threatened. The colonists, consequently, sent notice to James I requesting a big reduction in the tobacco tax. This request was backed up with a warning: if the changes were not made, the colonists would 'revolt to the pirates'. The consequences of such a revolt would have had tremendous implications for English colonial policy. For Bermuda to fall into the hands of pirates - or, as they were sometimes called, Brethren of the Coast - would have meant a loss of that secure English footing in North America and the return to the reliance on precariously held Virginia. And even though Spain was by now a declining power, the English thought Spain would try to gain control of Bermuda if it was rife with conflict. These concerns played on the minds of the English and is precisely what is meant by the king's petitioners when they stated 'the gravest results might ensue' if the tax was not reduced. It was largely as a result of these concerns that the Commission to Enquire into the Condition of the Summer Islands was far more favourable to Bermuda than was a simultaneous report on Virginia. Most importantly, the Commission recommended that the tobacco tax be significantly lowered. Furthermore, the funds which were needed to pay public charges were now to be provided by the Bermuda Company shareholders in proportion to the number of shares they held. As the English set about turning the island into a mid-Atlantic fortress, Spain pondered how it could secure Bermuda for its own colonial ambitions. Many times it considered invading the island, but nothing ever came of it. At one point, however, Spanish vessels did seem prepared actually to launch such an invasion. In 1614, it was reported that two Spanish galleons, accompanied by a small frigate, had been cited just off the island. Fear of an invasion quickly swept through the colony. Governor Richard Moore sent out a scout vessel to confirm identification. Upon receiving such confirmation, he released one shot of artillery fire which proved sufficient to drive the Spanish ships away. A few years later, in 1621, Bermudians believed Spain had actually gone through with its intentions and invaded the island. 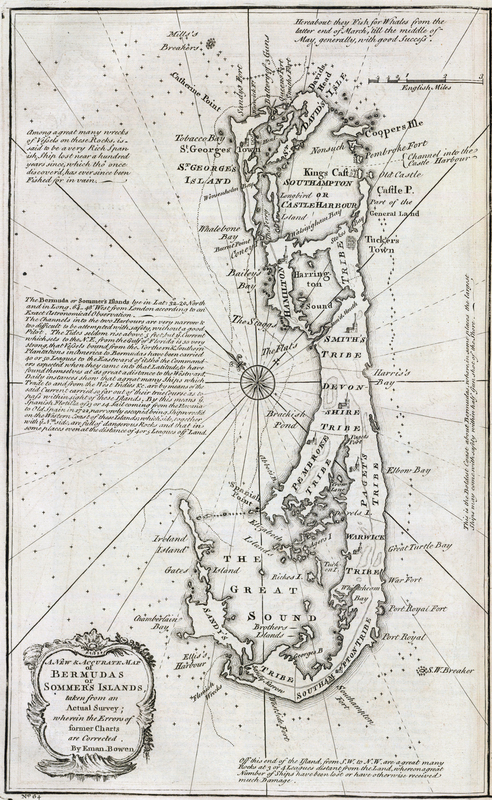 A messenger had, with great anxiety, informed Governor Nathaniel Butler that 100 Spaniards had landed in Sandys' tribe (parish) and that a large number of Spanish ships were seen at sea. With the seat of government at one end of this twenty-mile stretch of islands, St George's, and Sandys' at the other, immediate verification was not possible. Governor Butler ordered all forts placed on alert and sent a contingent of men to Sandys' to investigate. Instead of finding a Spanish force braced for attack, the contingent came upon a weary, distressed and altogether emaciated band of Portuguese and Spaniards who had been caught in a storm and shipwrecked off Bermuda. By 1620, Virginia was becoming an increasingly secure colony as many of its earlier difficulties were being resolved. 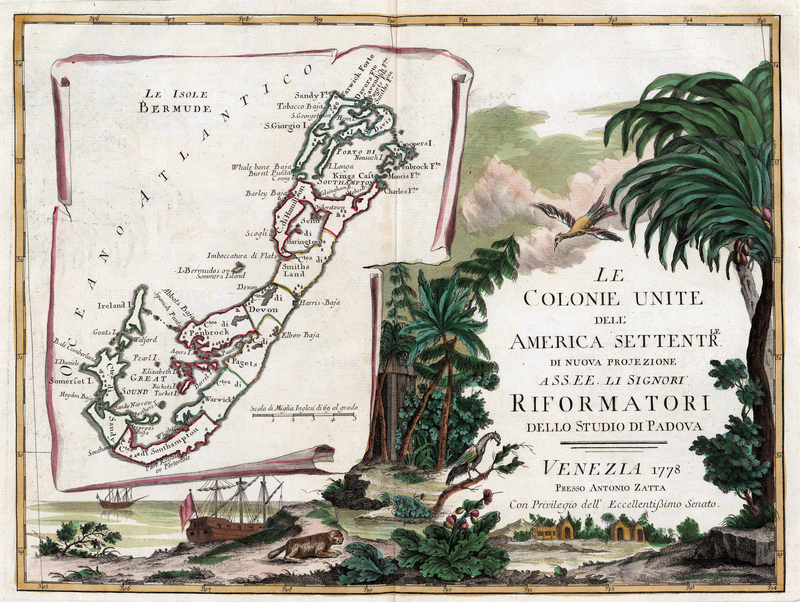 Recognition of Virginia's growing security is seen in the Virginia Company's provision of additional funds for the colony's development, and the move toward a representative assembly. With respect to England's larger colonial project, the early 1620s saw this European power firmly entrench itself in North America and the Caribbean. In addition to Bermuda and Virginia, Massachusetts Bay (1620), St Kitts (1623), and Barbados (1625) also came under English control. This increasing English (and French and Dutch) presence in the New World, in linking the economies of the two regions, had long lasting consequences. First, the New World colonies were moulded into little more than mercantile outposts subordinate to the English. This took on even greater importance when England clearly recognised the connection between trade and national power. Secondly, the promise of new opportunities and a quick fortune attracted growing numbers of English and Irish to the colonies. In the settlers' colonies of North America and Bermuda men and women emigrated at about the same rate, whereas in the plantation colonies of the Caribbean, including the Guianas, where the stay was intended to be a short one, the emigrants were overwhelmingly male. Shortly after the English arrived they brought in blacks from Africa as slaves to work their land and (at least in the case of Bermuda) work on their ships. As a consequence of these two developments - Virginia's growing viability and English expansion - Bermuda became less important in the grand scheme of England's colonial ambitions. But it remained important to the Somers Island Company investors. Since receiving their charter in 1615, these 'adventurers' tried hard to turn Bermuda into a profitable enterprise - the island's resources, however, were meagre. Many agricultural products were grown, but only tobacco production proved successful. Towards the end of the century, the colonists moved beyond the island's shores in search of wealth, and found it in the salt lagoons of the Turks and Caicos Islands, located just south of Bahamas. They raked the salt and used it to purchase goods from the North American colonies. Politically, Bermuda's colonists had always asserted a substantial degree of independence from the Company; over the years, they became increasingly hostile to the Company's policies, particularly with regard to taxation, and proved difficult to rule. Partly through the colonists' petitioning, partly because of the trend to assert state control over the colonies in general, the charter of the Company was soon revoked. In 1684, Bermuda became a crown colony. Often ignored or given perfunctory treatment in English colonial as well as American and Caribbean history, Bermuda has played a role out of proportion to its diminutive size. 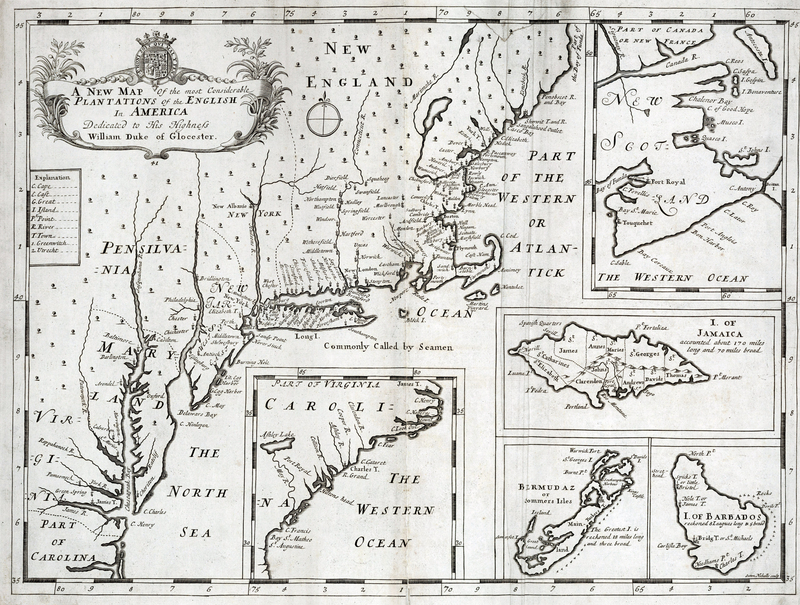 English reliance on Bermuda to serve as a base to defend and sustain Virginia, specifically, and to provide a secure stepping-stone for subsequent expansion, more generally, is but one illustration of the island's part in that history.